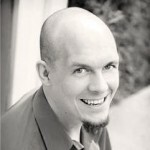 The single easiest way to increase the number of heartbeats you can expect to experience in your life is to move. Geography is a far better predictor, even within the United States, of your longevity than is any other variable. Much of modern of medicine is focused on getting those of us in developed countries a few more heartbeats (several magazines have recently run articles about the possibility of living to two hundred). But, the truth is that far more beats can be gained for humanity—more moments of joy, difficulty, or pleasure, moments of anything—by making health care and public health more equitable around the world, evening out the mountains and hills of life’s map. 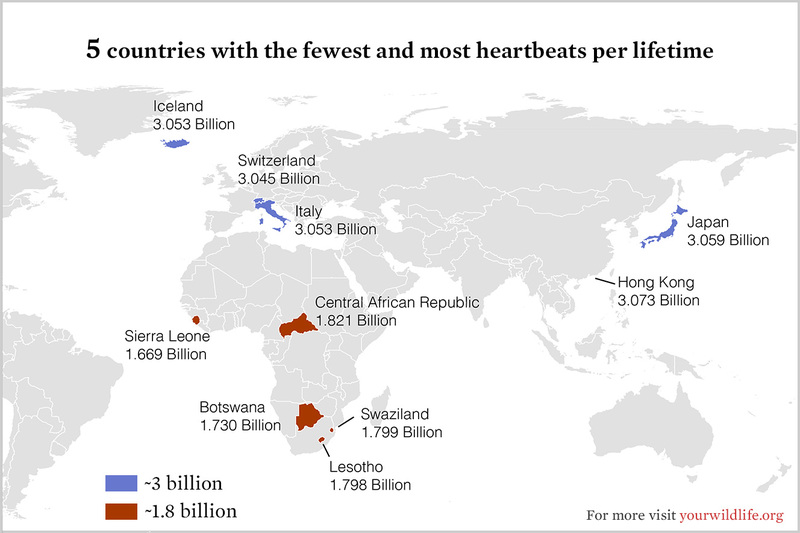 As of today, a child born in Italy, for instance, or Japan, is likely to live out nearly twice as many heartbeats as a child born in Liberia. A child in Liberia is likely to get no more heartbeats than does, say, a chimpanzee or an early agriculturalist living in Egypt five thousand years ago. 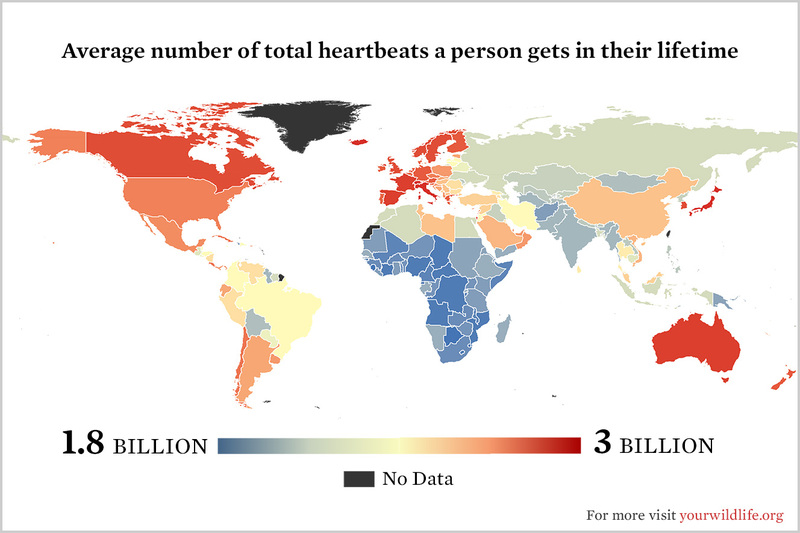 Relative to the Liberians, the extra beats the Italians or Japanese live out are not, for the most part, due to the magic of stents, bypasses or replacement heart valves. Nor do they have anything to do with the absence of emergent pathogens such as Ebola. Instead, they are due primarily to sanitation, vaccination, and preventive care. And so if you were lucky enough to be born in one of the regions in which you might get an extra billion or more beats, beats thanks to public health, beats of fortunate location, consider wisely what you will do with them, those luxurious extras, the drumming of geographic fate.